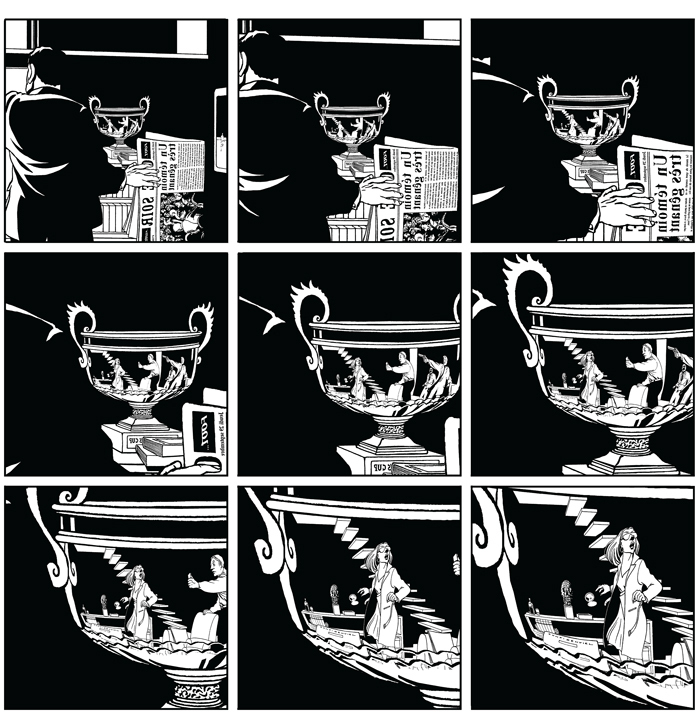 Page detail from Marc-Antoine Mathieu’s 3" (Jonathan Cape/Random House, 2011). HERE IS ONE STORY about how North American comicsor, if you prefer, cartoons or sequential art, or, later, graphic novels, the multiple monikers themselves being part of the talereached the stations they occupy today. In the beginning, comics creators were hamstrung by early-twentieth-century systems of publishing and distribution that confined strips to newspapers, longer-form comics to drugstore racks, and everything to intrusive corporate owners who insisted on work for hire, preferably involving capes and bad guys, and nothing (except for a few years in the early 1950s) that would shock fathers of eight-year-old boys. If you made an ambitious, difficult comic for grownups, nobody would publish and distribute it, and nobody would find out about it if you did.